Last night on Last Call with Carson Daly, Carson reminds the rest of the ice-covered country of the mistake they made when they chose not to live in California, as he introduced a performance from Interpol while soaking up some sun on a pleasant Los Angeles bike ride. 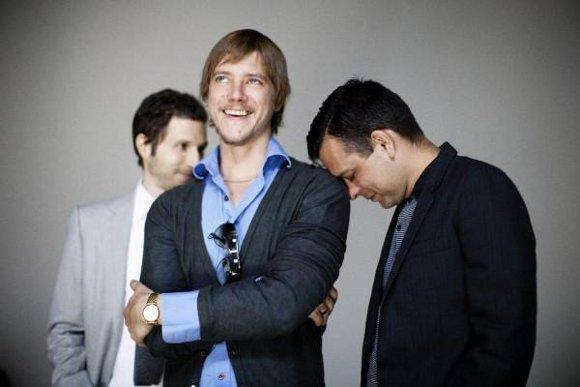 Although they released their self titled fourth studio album last September, Interpol chose to perform the song "Evil" from their second album, Antics, at the Greek Theater L.A. on Last Call's February 1st show. Antics is available on iTunes, and you can pick from three different formats of their 2010 self titled release on the band's website. They are currently on tour for the next three months, and will cover over 45 dates in the United States and Europe. Check out Interpol's February 1st Last Call with Carson Daly performance of "Evil", which invokes as much excitement from the crowd as if it had just been released, courtesy of our buddy The Audio Perv.